‘Members of Veterans For Peace (VFP) participated in the 5th annual Grand March for Life and Peace on Jeju Island, South Korea. 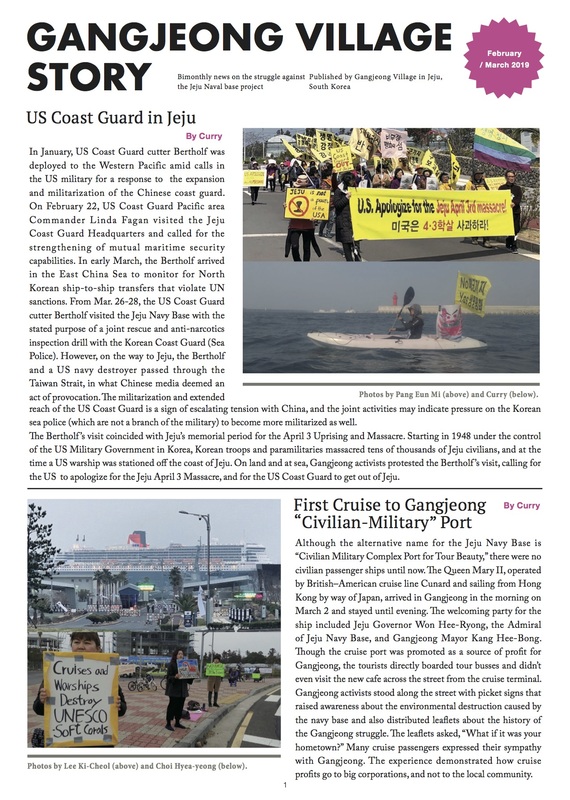 From August 1 to August 6, Korean and international peace activists came together to march across Jeju opposing the naval base built near Gangjeong village and continued militarization of Jeju Island as well as South Korea. This video features highlights from the six days of peace marches and activities.